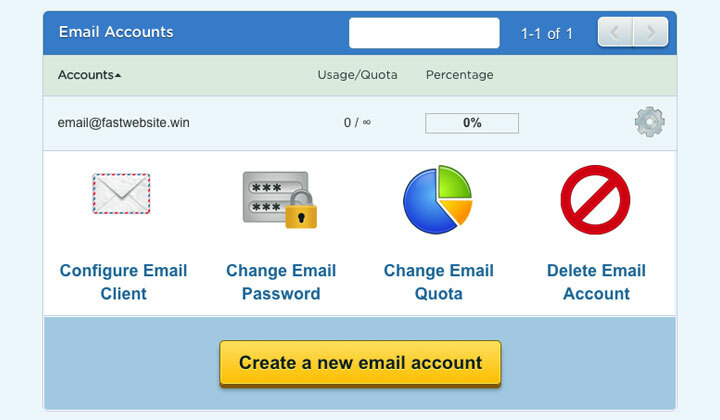 HostGator provides affordable email hosting to cover all basic needs, to professional business emails. Here’s my review and experience with them in 2019. 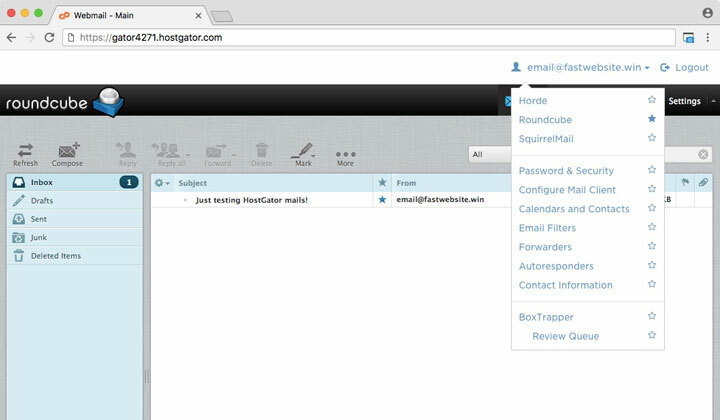 Providing hosting for unlimited emails seems to be quite common within the hosting industry, but with HostGator it doesn’t end there. Free spam protection for all mail boxes. When singing up for a shared web hosting plan, you can get unlimited POP3 mail boxes with IMAP support on the “Hatchling Plan”, “Baby Plan” & “Business Plan”. However, if you wish to have multiple email addresses on different domains, you will be limited to Baby & Business plans which support unlimited domains. All of the plans include, pop3 accounts, webmail, email aliases, auto responders, mailing lists, catch alls, spam assassin, mail forwarding, imap support & SMTP. SMTP is required for sending emails and has worked fast. 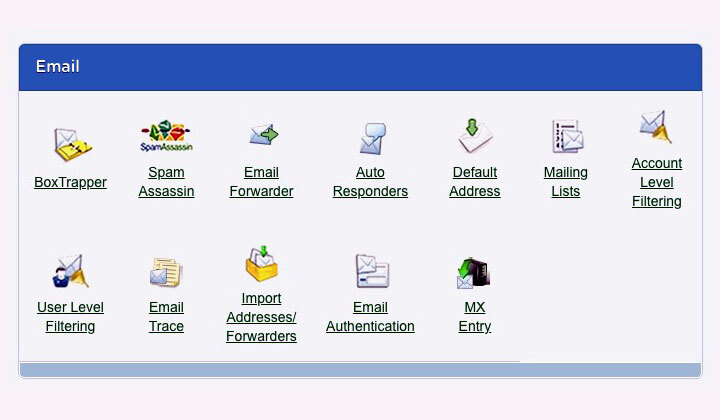 IMAP provides a safe connection to the email servers through SSL. 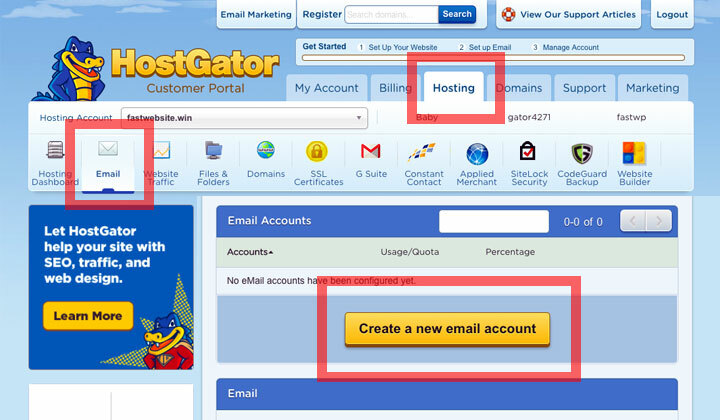 Once you have signed up with HostGator, navigate to the Customer Portal, select “Email” under “Hosting” and click on “Create a new email account” to get started. Each mailbox has an optional “quota” setting to limit the total amount of space in Megabyte (MB) units. The space it consumes for storing all emails & attachments. But since all HostGator hosting plans come with unmetered disk space, you can freely leave this setting as “0” which allows unlimited use of space for your emails. You can select the “Configure Email Client” button for detailed, step-by-step instructions for setting up emails correctly for all of your devices. For example, you can use the same email box on your smartphone, tablet and PC at the same time, so that they sync between devices and platforms. Also for some devices a script is provided for automatic configuration! And settings for manually setting up emails, with secure SSL/TLS. 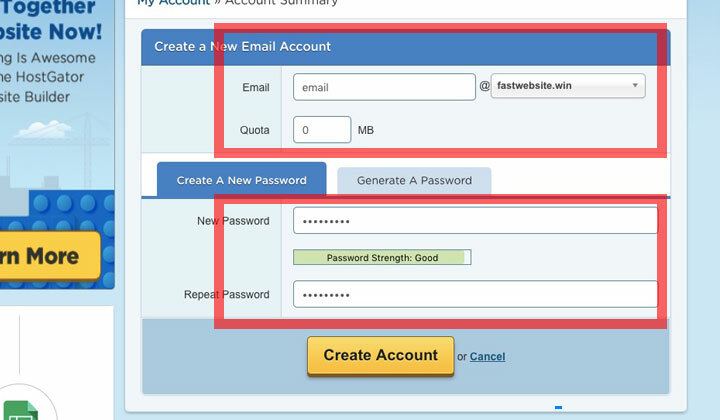 Once you have your email account setup, you can also login to webmail. This is also a good backup for accessing your mailbox when not at your usual device. Simply navigate to your domain name and add “webmail” at the end of the URL. 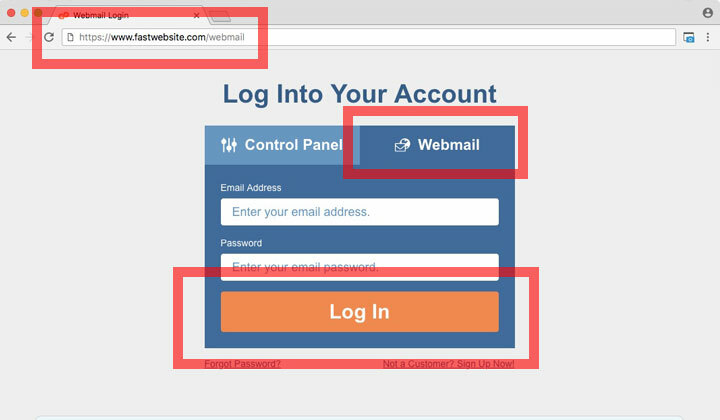 So for example, if your domain is www.fastwebsite.com, the address to access your emails through your web browser would be www.fastwebsite.com/webmail — easy! The first time you login to the system, it will ask you to choose your webmail client. Don’t worry! You can change this setting at a later time through Customer Portal. I highly recommend using “Roundcube”, it’s the easiest to use and also the best looking! Click on “Set as Default” under the client logo. Then proceed to your emails by clicking on the logo above itself. On your next login, it will be automatic! That’s it. Try sending an email to another mailbox and vice versa to make sure everything is working well. The rest should be intuitive enough to figure out. To try out the other webmail clients, click on your email address at the top to open the menu. 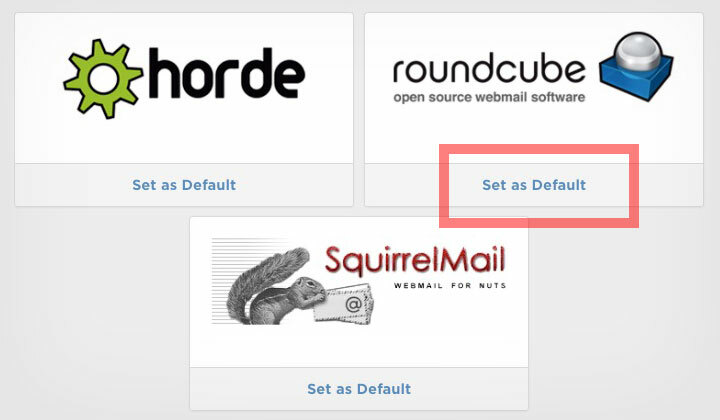 There you can choose betwen “Horde”, “Roundcube” & “SquirrelMail”. 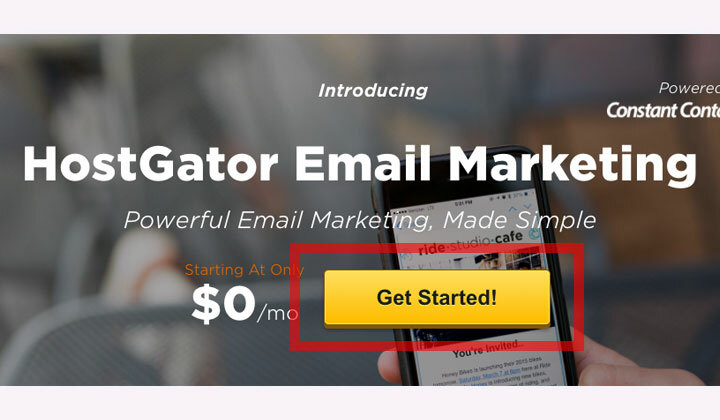 If you are serious about email marketing, building up your mailing list for your customers and visitors — HostGator has teamed up with Constant Contact. You can get started with a free trial, but it will cost you a monthly fee if you find it beneficial. However, anyone willing to manage mailing lists for your business will need to use a commercial solution. Add emails to your list from your Facebook page, company website, etc. Backed by a support team to help with your successPricing is based on the size of your email list. So the monthly cost to run your list will only increase together with your business success. The first 500 are free for the first 3 months, when you sign up with HostGator. 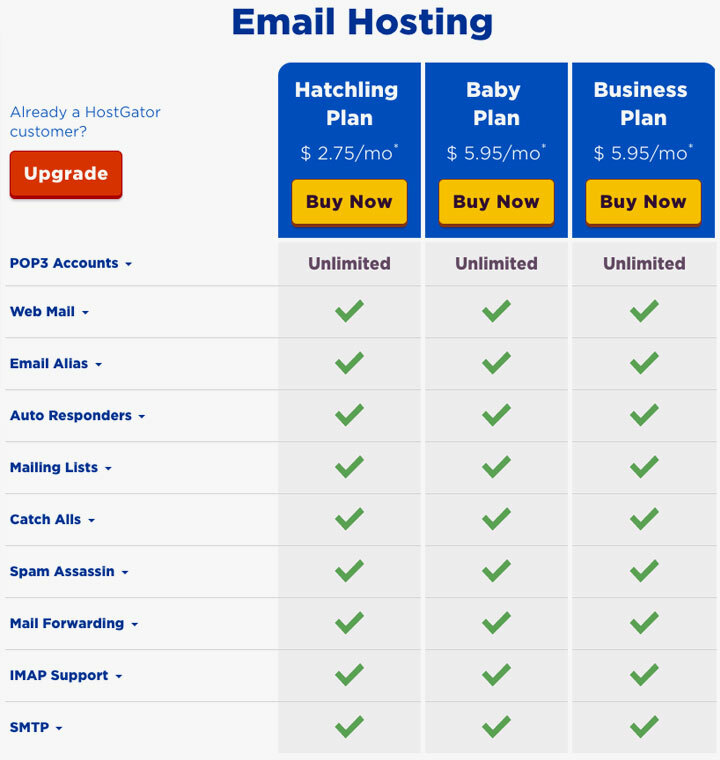 And that was my review on email hosting with HostGator. Tip! 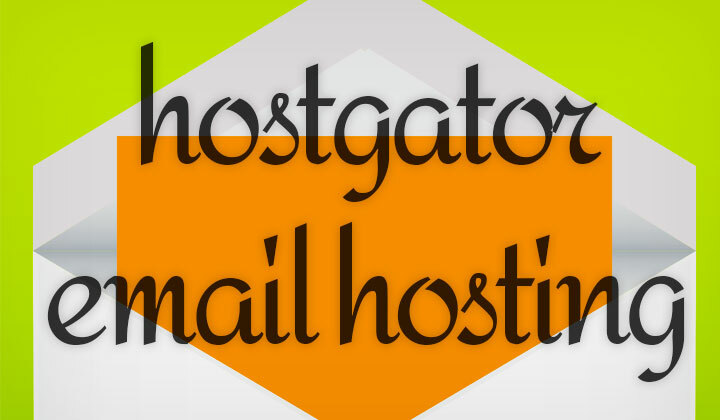 Check HostGator’s mail policy to know exactly what you are signing up for. Hope you enjoyed the review, please share your experiences with HostGator. Any questions about hosting your emails, give me a shout below! I’d also like to note my dear readers about the possibility of affiliate links within the reviews and posts on my blog. This supports me and the site to keep on going. Huge thanks for your visit and read! Tim.